Another long weekend and another roadtrip! This time I headed to Central West of NSW out towards Orange and Condobolin. I originally wanted to head to Warrumbungle National Park, past Dubbo, as it is Australia's only Dark Sky Park. A dark-sky preserve is an area, usually surrounding a park or observatory, that is kept free of artificial light pollution. The purpose of a dark sky preserve is generally to promote astronomy. However, I wasn't convinced it would be that much more amazing than another area in the region and eventually decided against it. Plus, I wasn't excited about the bushwalks at the national park either. First stop on my roadtrip was Orange. 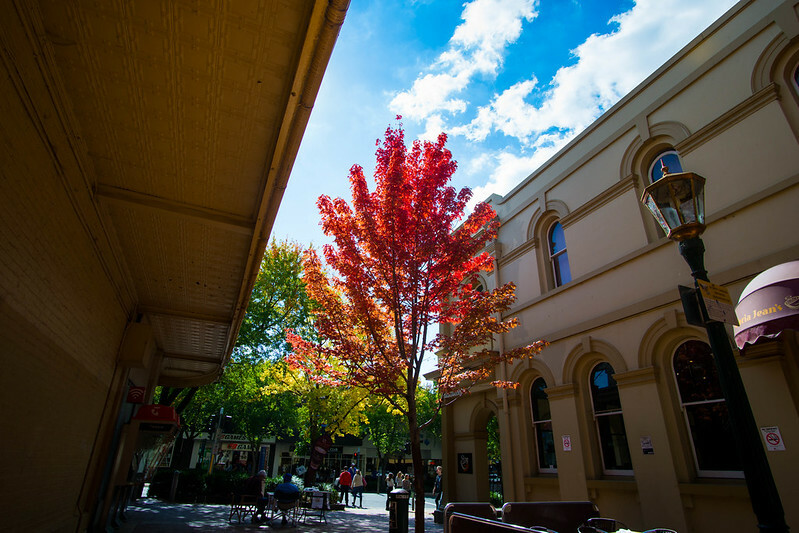 Orange is 254km west of Sydney and is known as a "Colour City" due to the autumn leaves. The area is also known for fresh produce and wineries however as I am not a massive foodie, my appeal lay with the leaves. I had been wanting to visit Orange in the autumn for a few years now. 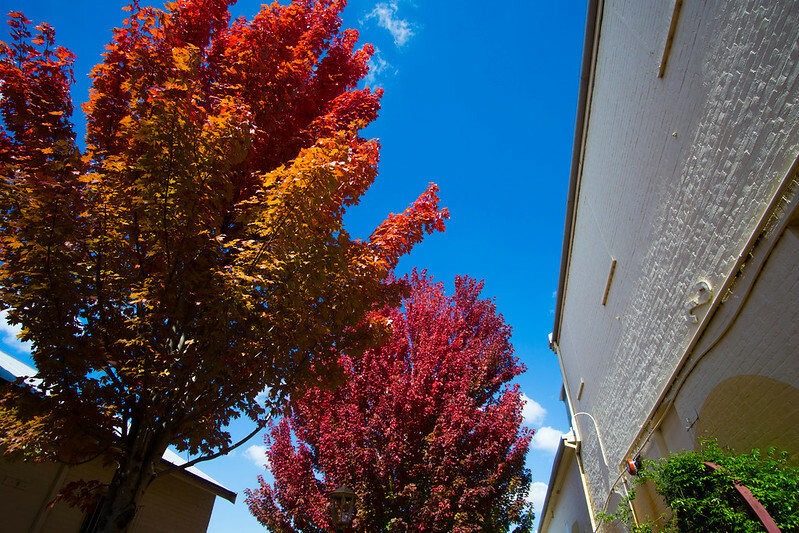 This may sound quite silly for people who live in the Northern Hemisphere / areas where there are deciduous trees however the native trees in Australia (except for one in Tasmania) are evergreens and autumn isn't as visually exciting. Warning: this post is image heavy with photos of leaves.